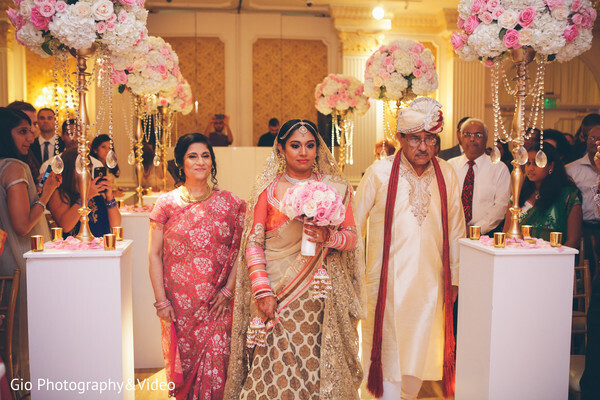 Feast your eyes on the amazing floral and decor courtesy of Design House Decor at Nisha and Ashwin's Indian wedding at The Garden City Hotel in New York. 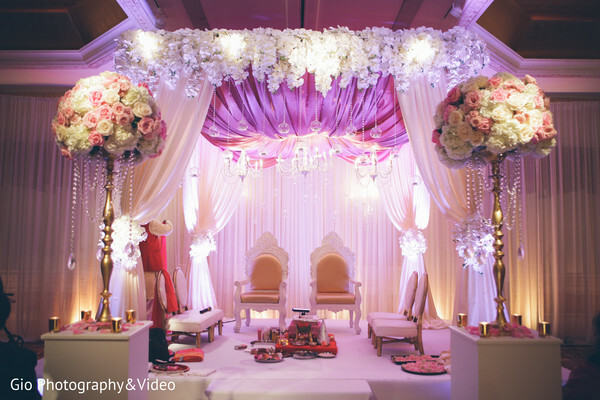 The mandap is covered in flowers and the aisle is lined with luscious floral arrangements dripping in crystals. There's just so much to go gaga over! 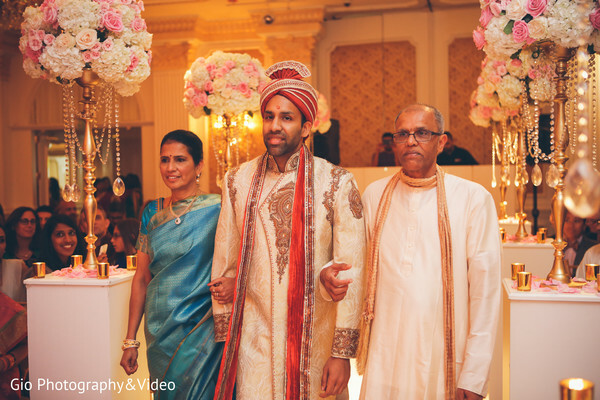 Gio Photography & Video captures our blushing bride as walks down the aisle. She looks cool as a cucumber which goes to show that Touch of Elegance Event Planners must of taken away all her stress by meticulously planning each and every divine detail. 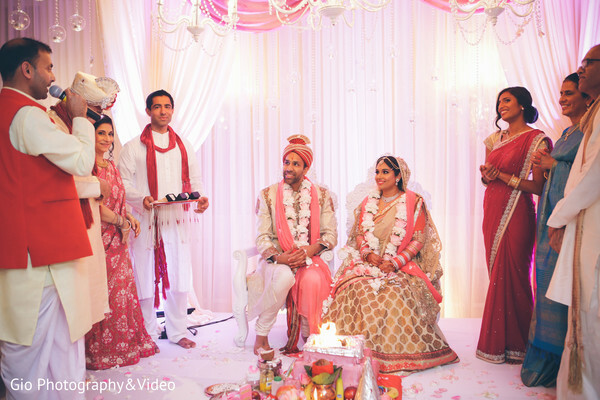 And wow, did they plan a captivating affair which you see more of in the gallery! 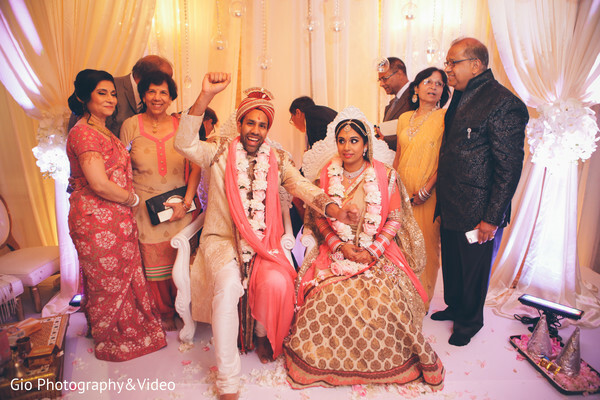 "We wanted to have an elegant, classy, and most importantly fun wedding." 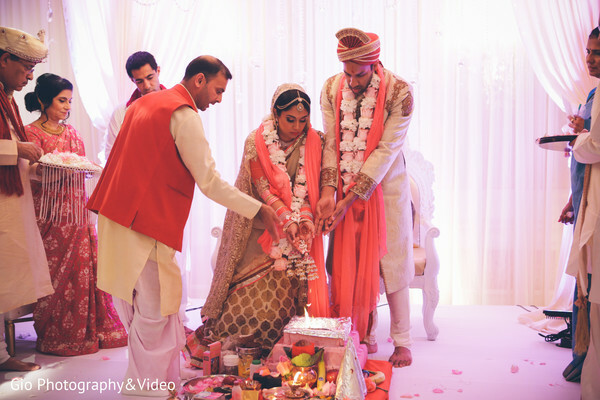 "We loved our venue - it was beautiful, and the Garden City Hotel staff was excellent. 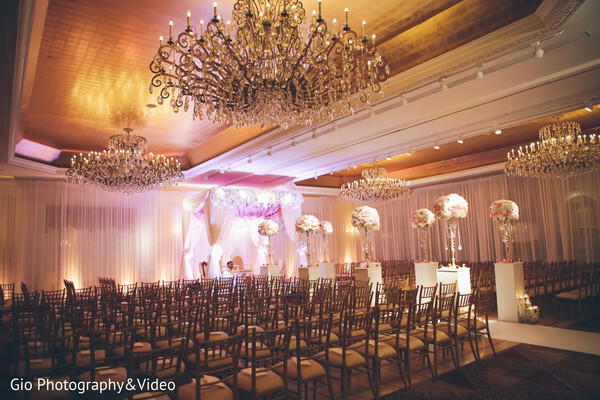 The decorator did a beyond amazing job." 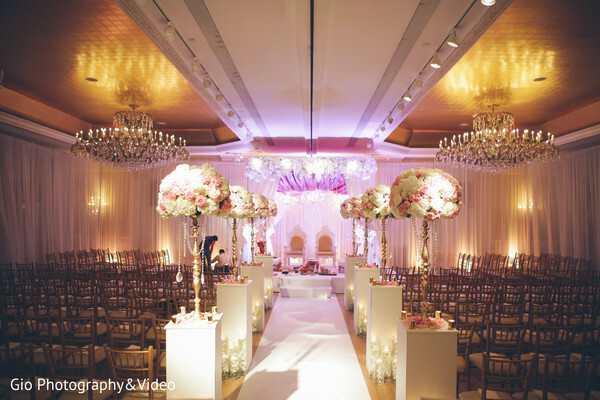 "We had a lot of help with everything, from special dance performances to signature bride/groom cocktails."